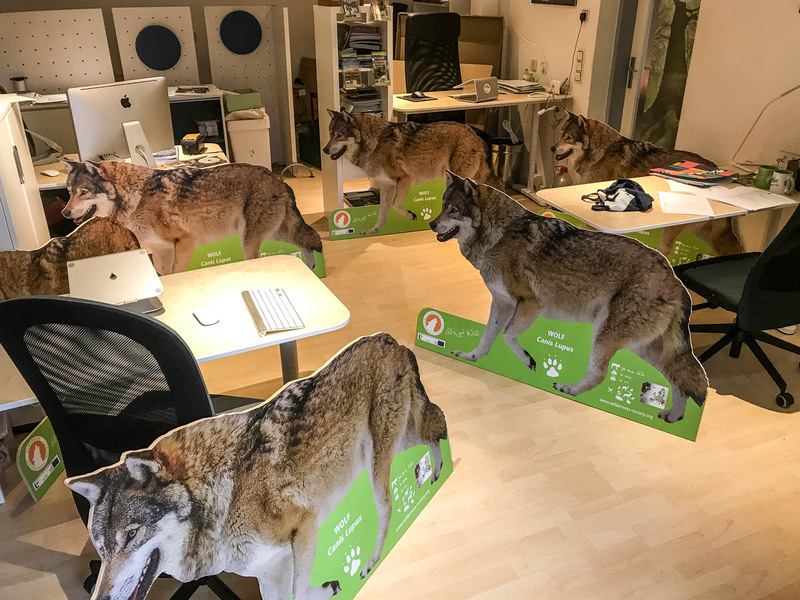 As part of the Let´s get Wild school project in Austria, the European Wilderness Society has started the production of the first of our first life-size large carnivore displays. The displays are a high quality print directly on wood and the final size is 87 cm in height and a total length of 132 cm. The displays include basic data plus a map of the distribution of wolves across Europe. The information is language independent so that the wolf displays can be used all across Europe. We will also produce life-size displays of the European brown bear, the European lynx and of the Eurasian golden jackal. If you are interested in such a display, please send us an email.